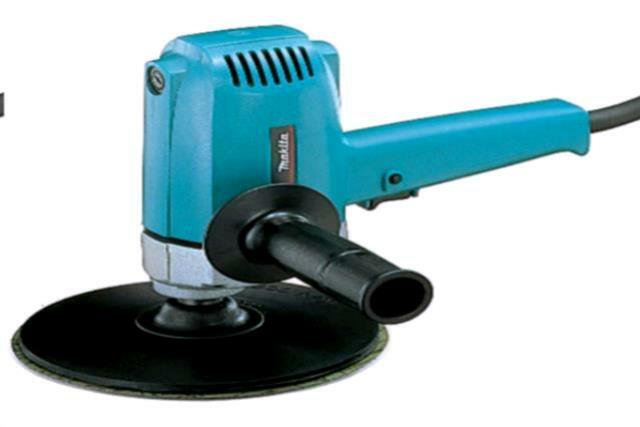 The electric disc sander has dimensions of 9" X 10" X 12" and a weight of 7lbs. It comes with a 7' cord and runs at 4000 RPM - you will need 7" sand discs. Two wrenches included. Good for sanding on round or concave surfaces for wood and steel surfaces. Not intended for grinding work or use with oversized discs. Wear eye and breathing protection. Hold unit firmly.